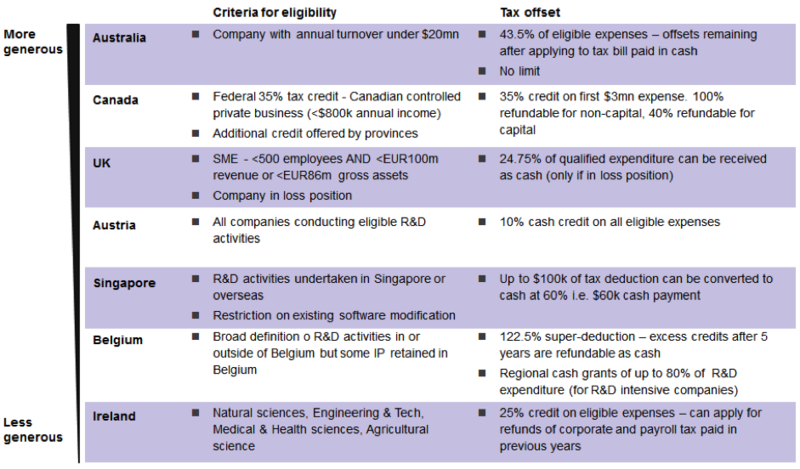 Home » News » How Valuable is Australia’s Refundable R&D Tax Offset on a Global Scale? How Valuable is Australia’s Refundable R&D Tax Offset on a Global Scale? Ultimately, investing in research and development (R&D) is key to increasing innovation, productivity and competitive advantage. It is not only beneficial for businesses, but is also advantageous for the economy of our country. In fact, for many multinational companies, Australia has become the centre of their global R&D activities. This is primarily due to a highly skilled workforce, suitable infrastructure and a favourable R&D tax incentive program. 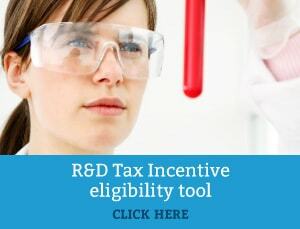 Australia’s R&D Tax Incentive, which has replaced the R&D Tax Concession since the 1st of July 2011, offers research and development tax offsets designed to encourage more companies to engage in R&D. The incentive was implemented to boost innovation at a time when companies were struggling to access capital. In particular cases, it offers a 43.5 percent refundable tax offset for R&D expenses in the form of annual cash rebates to companies that have less than $20 million in revenue and file tax returns in the country. Thus, for a research-intensive company, the tax benefit is a welcomed non-dilutive source of funding for R&D activities. Previously, we’ve compared government support for business R&D in Australia, China, Canada, United Kingdom, United States and India. The infographic of this comparison can be found here. Alternatively, you can download the pdf here: R&D Incentives Around The Globe . In addition, Australia’s cash back schemes tops OECD comparison. However only a handful of countries (viewed in the table below) offer refundable tax offsets and Australia’s refundable tax offset is the most favourable in parallel to other countries. In accordance with the table above, Australia’s R&D Incentive program is indeed quite auspicious when compared on a global scale. Ultimately, the driving force behind the R&D Tax Incentive is to inspire more companies to engage in R&D in Australia. And it’s working: a number of companies have overtly stated that they have set up in Australia because of the support provided by the R&D Tax Incentive. The international benchmarking of Global R&D Tax Schemes within this post highlights that the Australian R&D tax incentive system is relatively competitive with international regimes. However, as we’ve mentioned earlier, the type of offset differs depending on the turnover of the company and the amount of R&D expenditure incurred. Nonetheless, the R&D tax incentive remains one of the most reputable sources of funding and support for businesses in the research, development and early developmental commercialisation phases. Overall, Australia’s R&D tax incentive programme has become well regarded internationally and, combined with the recent decline in the Australian dollar, has been a driver of overseas investment in Australian R&D. Please contact one of Swanson Reed’s Specialist R&D Tax Advisors if you are interested in learning more about the R&D incentive and what this can mean for your business.